For much of the nineteenth century, Cincinnati was the center of culture and learning in Ohio and throughout the Midwest. During this period, the residents of the city often founded organizations to sponsor cultural and educational activities. The Literary Club is one such organization. It was founded on October 29, 1849. Since its founding, the club has had no more than one hundred regular members at any given time, all of them men. Members have included many prominent Cincinnati residents, including Rutherford B. Hayes and William Howard Taft. Members present papers at club meetings, and occasionally famous writers have spoken to the club’s membership as well. Among the Literary Club’s guests have been Ralph Waldo Emerson, Booker T. Washington, Mark Twain, and Robert Frost. 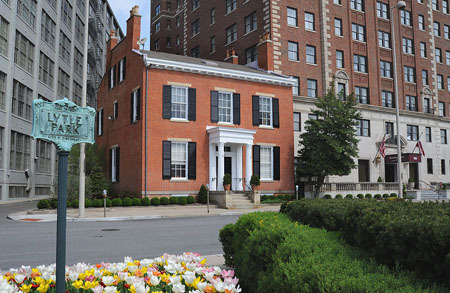 Cincinnati's Literary Club is the oldest such club in the United States.